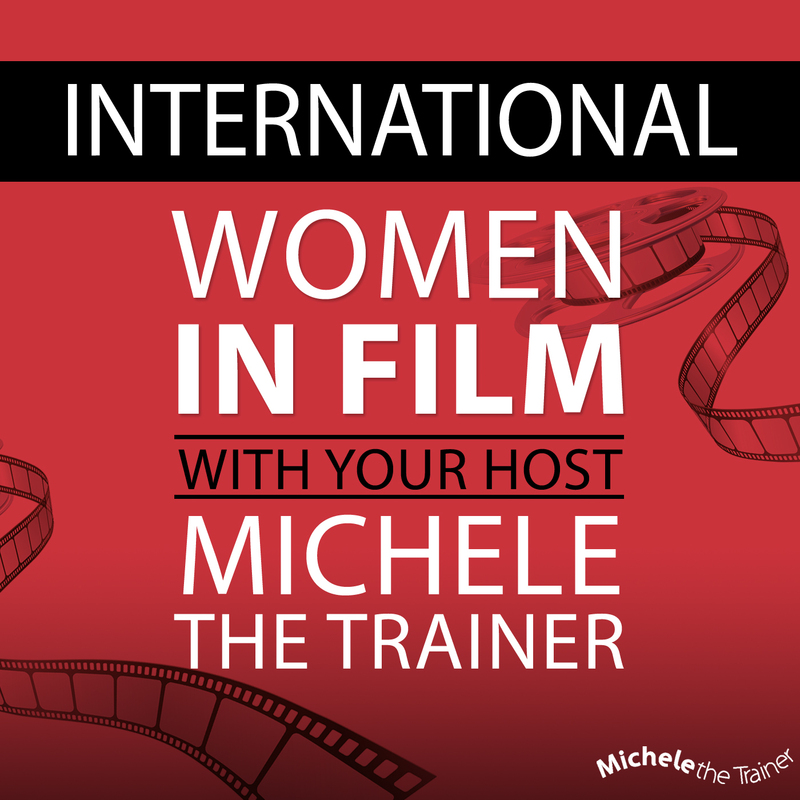 Episode 17 of the International Women in Film Podcast stars, Reneé O’Connor, a successful actress and filmmaker, best known for her role on Xena: Warrior Princess, brings her unparalleled passion to each and every project. Reneé made a name for herself when she resided in Auckland, New Zealand, playing the role of Gabrielle, Xena’s trusted sidekick on the popular series from 1996-2001. The scene stealing role created a huge worldwide fan base, one still active in countless websites dedicated to the actress and this signature series. She then moved on to launch her own film production company – ROC Productions. Her first independent production under the company is the romantic comedy, Diamonds and Guns which was released on DVD in January 2008. She also starred in several independent films, including Boogeyman 2 opposite Tobin Bell; The Sci Fi Channel’s Monster Ark opposite Tim DeKay and Alien Apocalypse, opposite Bruce Campbell, one of the highest-rated original movies in the cable network’s history. She starred in the action webisode series ARK from Judah/Sacks (executive producers of 90210 and Diary of a Wimpy Kid) and the anticipated Faith Based feature film, Beyond The Farthest Star, due for release in 2016, from Pathlight Entertainment. Prior to her breakout role, Reneé lived in Texas and began her professional film career at the age of 17, starring in the serial Teen Angel, a regular feature on the Disney Channel’s The Mickey Mouse Club. Other credits include the Disney film, The Adventures of Huck Finn with Elijah Wood, and television movies such as Follow the River with Ellen Burstyn, Danielle Steele’s Changes with Cheryl Ladd, and James Garner’s second Rockford Files reunion movie. Reneé’s talent extends well beyond the big screen or the small screen. Also an acclaimed stuntwoman, Reneé is proficient in several forms of martial arts and the use of martial arts weapons, which includes, the Nunchaku, Bo-Staff, and the Sai. She is a certified teacher of Emotional Awareness for the gifted community by the Rocamora School, and Renee has been an annual nominee for the Women Making A Difference award by the Los Angeles Business Journal since 2010. Renee is involved as co-director for some Los Angeles Film Festivals and teaches the Youth Intensive film lab, an educational laboratory for showcasing local talents. Currently, Renee writes, directs, and produces award winning short films, bridging social awareness with the entertainment industry, and she is in post production on the feature film, Watch The Sky, a Science Fiction Family film, due for release in 2017. Dawn Higginbotham, Morning Person Pictures, is an award winning Writer/Director/Producer who has also worked on Titanic and Star Wars I,II, and III shares her stories and her films from yesterday and today and tomorrow! several Off-Broadway shows and a National Tour. She soon shifted her sights to film where she worked in production on numerous feature films including “Die Hard W/ A Vengeance” (John McTiernan), Jim Cameron’s “Titanic”, “The Thin Red Line” (Terrence Malick), and “Fear and Loathing In Las Vegas” (Terry Gilliam). projects for major studios (DreamWorks, Fox, Paramount, Disney…). including; “Diamonds & Guns”, Off The Ledge”, “Night of the Templar”, ‘You are a Star”, “Outside My Window”, Randy Crowder’s “Infinity”, “Words Unspoken” …and is in development on the upcoming “Road to Nowhere”, “Single Not Desperate” etc. (with writer/creator Julian Moses and Midnitemove Productions). diverse and passionate about their craft, working in Los Angeles. Jenn Page has directed and produced multiple feature films, branded series, music videos, live stage shows, and a TV talk show. Determined and passionate, Jenn has a reputation for taking on tough projects and leading them to excel against the odds. Although she’s directed in almost every genre, she’s most drawn to romantic dramedy and musical projects. Carly Street Producer and Screenwriter Joins Michele to talk about her films The Intruder and Fragile Storm. The Intruder is Carly’s latest short which is currently looking for investment and is in the middle of a crowd funding campaign. The Intruder starts with a routine trip to the shop turning into a hellish nightmare for Joanna, as she is forced to battle the demons occupying the darkest recesses of her mind. The Intruder is a visual tale depicting the harrowing effects of Post-Traumatic Stress Disorder (PTSD). Our goal is to shine a light on this serious issue that many people go through and are still scared to talk about. This is an issue present around us on a daily basis, living in the darkness. We believe that more awareness should be made around PTSD and help those afflicted to speak about their experiences. The film specifically explores the thought of being trapped inside your own mind…. and the consequences when that is a reality. PTSD sufferers in the media are generally depicted as male former servicemen. The reason for this is because finally, a dialogue about PTSD affecting soldiers due to the horrors they are forced to endure as part of their service, has been gaining voices. Whilst this is very true and what most people are rightly trying to bring awareness too, we want to shift our focus ever so slightly to highlight the effects of PTSD on the everyday men, women and children who are also affected, as well as our service man and women. They could be doctors, soldiers, police officers, teachers, parents. Every day ordinary people doing every day and ordinary things. This short will snapshot the ongoing cycle of PTSD for ALL of those people and out lead character is a woman. Carly’s previous short was Fragile Storm, which has won a total of 10 awards during its festival run, including best script and starred Lance Henricksen. I wrote the original script and co-wrote the final draft with Dawn Fields. Michele Hall is an Emmy Winning natural history and underwater film producer specializing in marine wildlife and marine conservation films for TV and IMAX since 1991. She is a member of the Television Academy of Arts and Sciences and the Women Divers Hall of Fame. After nearly 2 decades as a pediatric nurse, Michele entered the field of documentary filmmaking in 1991, specializing in marine still photography and marine wildlife films. While her underwater still photos have been published internationally, the focus of her work has been working as a team with her husband, Howard, producing marine wildlife documentary films for television and theatrical release. She has produced or co-produced many television films including a National Geographic Special, two episodes of the PBS series Nature (one of which featured her and her team on-camera) and the five-hour PBS series Secrets of the Ocean Realm. These television films garnered seven Emmy Awards, and numerous other wildlife film festival awards. The Halls are perhaps best known for their underwater IMAXÒ films. In 1994 Michele was Location Manager on the first-ever underwater IMAX 3D feature, Into the Deep (which Howard directed), and in 1998 she produced the IMAX film Island of the Sharks (also directed by Howard). In 2005 Michele returned to the IMAX 3D format for the Warner Bros. / IMAX feature Deep Sea 3D. The award-winning sequel Under the Sea 3D followed in 2009. Howard and Michele have participated in other underwater IMAX productions in various capacities, including MacGillivray Freeman Films’ IMAX film Coral Reef Adventure, released in 2003. More recently she has lent her expertise as a Producer to several IMAX features as Location Manager, including MacGillivray Freeman Films Journey to the South Pacific and Humpback Whales, and National Geographic’s Ocean Giants. In 2003 Michele and Howard were named Divers of the Year by the Boston Sea Rovers, and in 2011 they received the same accolade at Beneath the Sea. That same year they were also inducted into the International Scuba Diving Hall of Fame. In 2004 Michele and Howard were recognized by PADI with the PADI Environmental Award. In 2013 they received the International Wildlife Film Festival’s Lifetime Achievement Award for Marine Conservation & Media. In 2015 they were recognized by the Jackson Hole Wildlife Film Festival with the Outstanding Achievement Award for Natural History Filmmaking. Michele is a member of the Television Academy of Arts and Sciences, the Women Divers Hall of Fame, and is a recipient of the Academy of Underwater Arts and Sciences NOGI Award. Dictynna Hood, DR Hood, from London, directed and wrote the feature ‘Wreckers’ with Claire Foy and Benedict Cumberbatch, which came out in 2012 and its international premieres were at Palm Springs and Moscow Film Festivals. Dictynna’s first feature film WRECKERS starred Benedict Cumberbatch, Claire Foy, and Shaun Evans. WRECKERS premiered at the London International Film Festival 2011 where it was nominated for best debut feature; its international premieres were at Palm Springs IFF 2012 and Moscow IFF 2012 where it won a Silver George. WRECKERS is released in the UK by leading arthouse distributor Artificial Eye, who named it as ‘debut which changed the face of British cinema’, and is distributed worldwide through Content Media Corp. Prior to her first feature WRECKERS, Dictynna wrote and directed multi-award winning short films THE OTHER MAN with BAFTA winner Anna Maxwell Martin (Edinburgh IFF winner 2006), and JOURNEY MAN, with Ruth Madoc. JOURNEY MAN was a global festival hit and had eight months’ theatrical exhibition in the UK. Dictynna has had work commissioned by Granada and Channel 4, and wrote the screenplay for Tim Krabbe’s cult novel DELAY. Dictynna has also directed for theatre and audio, including audio versions of Aristophanes’ THE CLOUDS with Andrew Sachs and extracts from Homer’s ILIAD with David Warner. Dictynna also teaches and is the inventor of the Pudovkin game for students. Monique Impagliazzo, writer, producer director with 10 years experience as Associate Producer is now working on her own short, Turkey’s Done starring Cheri Oteri! children’s feature film musical, Standing Ovation and brought Monique onto the production as an Associate Producer. Assistant on her 2012 US and Canadian Tour: Back to Brooklyn and The 2013 European Tour. Christie Brooks, from Hawaii, an actress and singer who worked alongside Dennis Quaid, Helen Hunt in the Bethany Hamilton’s story movie, Soul Surfer. American film and TV actress Christie Brooke was plucked from the island of Oahu, Hawaii for her talents in acting, music, and dance to be cast on ABC’s primetime hit show High School Musical: Get in the Picture, sharing the screen with Zac Efron, Nick Lachey, and Kenny Ortega. Dawn Leigh Climie is a Costume Set Supervisor with over 24 years of experience. After graduating from the NAIT Apparel Design program, Dawn began her career in local theater and independent films. while working in Alberta. In 1996, a chance to work on the feature film THE THIRTEENTH WARRIOR allowed Dawn to relocate to Vancouver. Emmy nominated Designer Eduardo Castro. For 25 years, we have specialized in the creative manufacturing of unique costumes, props, masks and sculpture. We solve creative problems with intelligent, custom-made solutions for top-line companies, performers, events and museums worldwide. Clients include Lady Gaga, The BBC, Delta Airlines and The city of Sydney, Australia. Diverse clients also include: Harrods, as well as museums, theatres, opera and ballet companies, professional performers and amateur party beasts worldwide! Our work has also featured in TV adverts for Sony, Lipton’s Iced Tea, Motorola and Peugeot. When you need something custom-made, ask us for a free quote and advice. I’ve been working professionally with Mike Petty (sculptor), for many years now – we started the company Tentacle Studio 25 years ago. We make animal masks, sculpture, costumes, rubber clothing, wings and all sorts of glorious weirdness! We started off making only custom-made stuff for theatres. But over the years we’ve evolved many times- producing a range of colorful rubber clothing that sold in shops worldwide, and just recently opening shops on Etsy and Amazon with ranges of our own unique designs- the most popular are our animal masks. We still do a lot of custom work on commission – often for TV adverts and music videos. I trained as a classical tailor – men’s suits, women’s corset, very traditional. But I have always preferred hi-tech materials in fresh, exciting colors; creating new textures that transform the wearer. It took me a while to un-learn some of the rigid rules inherent in such a strict discipline as traditional tailoring! But finding our own methods, and working with unexpected materials has been essential to being happy in what we do, it’s kept us flexible, and enabled us to come up with fresh ideas. Although both born and bred in England, we’re now based in The Netherlands, and our studio is nestled just outside Amsterdam in the heart of the tulip growing area. You’ll find us there most days, buzzing around, making and designing new items for our online shop and taking photos. The relaxed atmosphere in Holland is great – although we don’t actually do much relaxing – we’re usually to be found in a frenzy of creative stress, building various custom orders to tight deadlines! We love it that people have fun, and get transformed by our creations. Rebecca Forstadt has been a voice actor in the Los Angeles area for over 35 years and is a long time member of SAG – AFTRA. Let’s learn about her career! She has an extensive resume in film, television, commercials, animation, video games, audio books, ADR. Rebecca is best known in the anime genre specializing in kid’s voices and has voiced hundreds of projects including Robotech, Tenchi Muyo, Ghost in the Shell, Code Geass and Metropolis. Rebecca studied theater at Orange Coast College, the Lee Strasberg Institute and the Ossetynski Actor’s Lab. She received 2 Drama- Logue Awards for outstanding performance as an actress in Ionesco’s Tales with Eugene Ionesco in residence and Leonce and Lena at Stages Trilingual Theatre in Hollywood. She has also appeared on camera in starring roles in the films Mugsy’s Girls with Ruth Gordon and Laura Branigan, and Round Numbers with Kate Mulgrew and Samantha Egger and on television. Kimberly, a NYC film making student and photographer elaborates on her Three Main Series which is the foundation of her upcoming film work. Kimberly Fox is a gifted art photographer and filmmaker currently located in Brooklyn, NYC where she currently attends the Fashion Institute of Technology studying Film and Media. She uses her work as a means of communicating what she finds words often cannot. This podcast episode will be the first of a series with Kimberly, starting our journey understanding her still photo collection, The Three Main Series. These stills are the core of her upcoming short film project. Our next podcast episode with her next year will follow her project road map. Jessica Sitomer, a film industry career coach talks about her work and shares tips on how everyone can generate more work, better work or different work. Jessica Sitomer, the Greenlight Coach, is a long-time expert in the entertainment industry, having worked in all areas, from producing, writing and acting to directing and development. Simultaneously, she’s been a career coach for entertainment industry professionals. Within that period she served for seven years as the in-house career coach for the International Cinematographers Guild, Local 600. Now she’s The Greenlight Coach, Inc.
Sitomer also shares her knowledge and experience as a keynote, college, and seminar speaker who teaches both professional and novice how to generate more work, better work, or different work in the entertainment field. Her book, “And…Action! Powerful, Proven, and Proactive Strategies to Achieve Success in the Entertainment Industry” is available on Amazon.